The best thing at Gorditas Lupita’s is the salsa habanero, an elixir that seems to always instantly give me the hiccups. Or maybe it’s the fresh homemade corn tortillas that are thick enough to soak up all the excess salsa and juice from the meat. Or it’s possibly the peppered carne asada that is chopped into dense bits of charred steak . When you combine all three it’s hard to pinpoint any flaws, though I’m sure some taco snobs could find plenty. 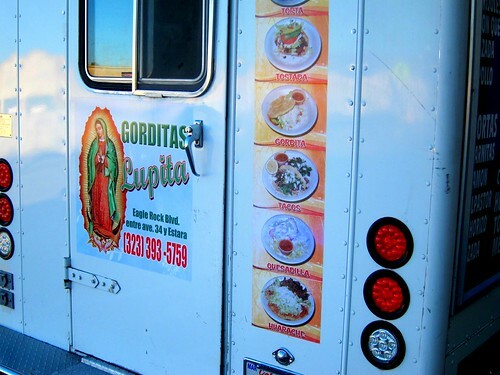 Gorditas Lupita’s parks on Eagle Rock Blvd in Glassell Park day and night; making it one of the most visible taco trucks in the city. 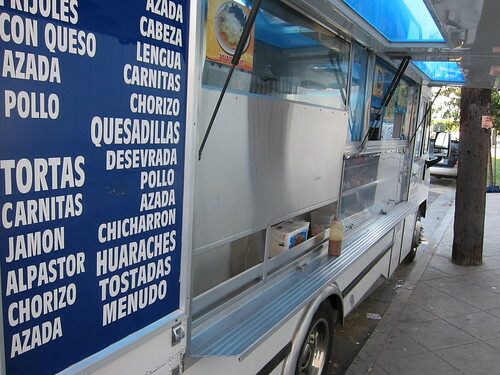 I’m surprised it’s taken me this long into my taco-reporting career to write about this truck. What the hell is wrong with me? Now that I think about it it’s the habanero and the tortillas that make the taco. 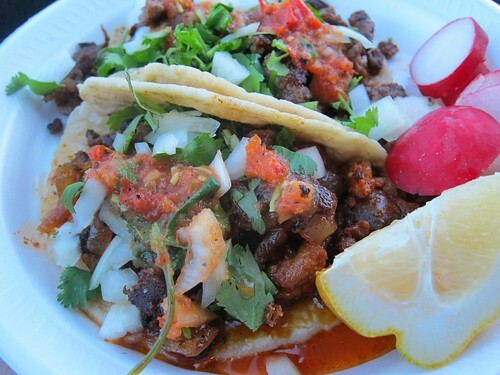 Even with the average al pastor (it’s more like overly spiced adobada) these tacos shine. The carne asada is just the tamest of all the meats and the least able to overpower what I really come here for; the tortillas and the salsa. 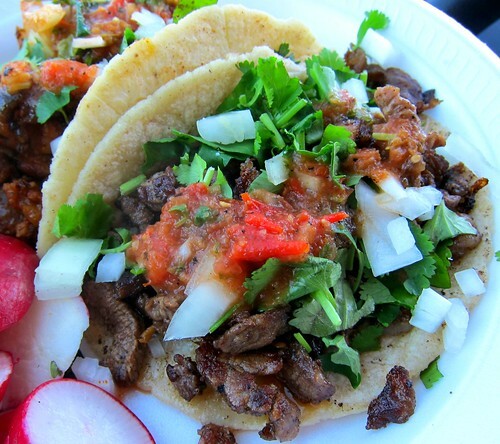 These tacos are quite big as well and come loaded up with meat, and topped with onions, and cilantro. The salsa habanero comes in a small cup so you can apply it as needed. If you have an appetite try the huarache, a sandal shaped dough-like monstrosity stuffed with meat, cheese, and beans. 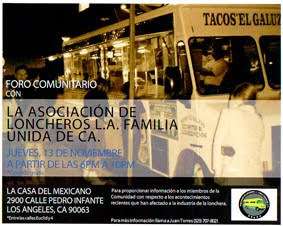 Or you could go with the trucks namesake and order the gordita. One of these days I will, but I can’t seem to get enough of the tacos and that habanero. my secret truck..love it. best carnitas...evah. Had them today, they were parked on the east side of Eagle Rock Blvd. between Estara and Ave 34. The habenero salsa is a must. The shredded beef (desevrada?) gordita was delicious! The ladies who work the truck often take an extended vacation at times. I forget for how long and when, but it's every year, around the same time. They do need their break u know!! !